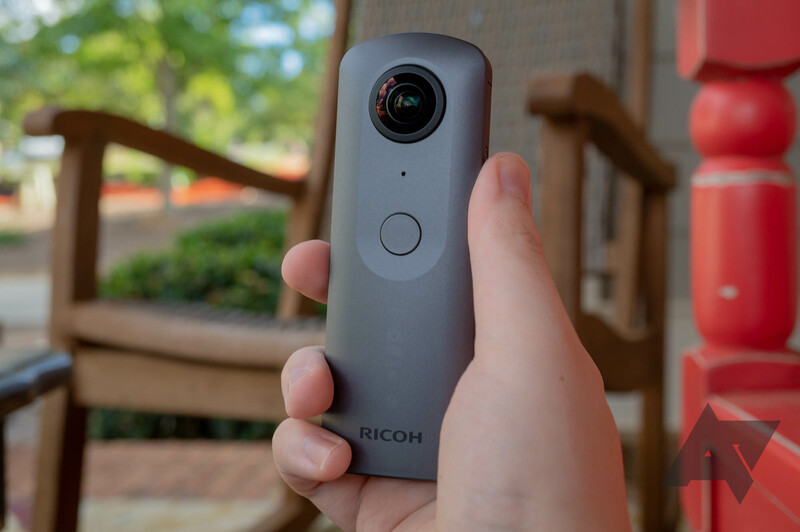 In our Theta V review, we praised the superb image and video quality, the small and lightweight design, the companion editing app, the compatibility, and the availability of first-party accessories. Price tag aside, our only gripes were with the hard-to-press side buttons, the lack of waterproofing (there are cases available that fix that), and the lack of a microSD slot. The 19GB of internal storage should be enough for most, but it could get a bit constricting when shooting video. Focus Camera's current price of $239 is $90 less than its regular refurb price. 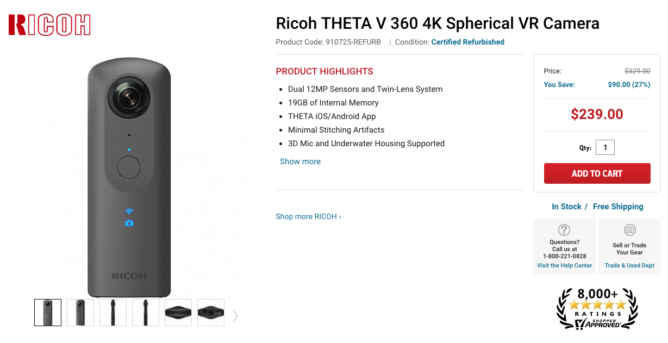 The camera comes with a 90-day warranty for peace of mind. Hit the buy link below to pick one up.